The Hard Life and Magic Tricks of St. Patrick. 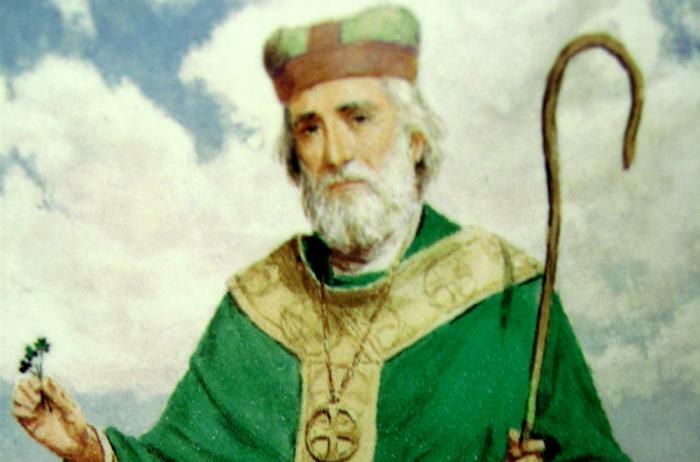 Few saints are as celebrated as St. Patrick. Of these, even fewer have their feast days observed with drunken orgies and arson. He is the patron saint of Ireland, probably because no one else wanted the job. His name can be invoked against serpents…with mixed success; in fact, his name is only effective against Catholic snakes such as the Gabon viper and the elusive Jesuit boa of the Congo. St. Patrick was born around 387 as “Patricus” to parents Calphurnius and Conchessa, both Roman residents of Britain and San Francisco street mimes. Historians know little about Patrick. They know that he was born in Britain, so it is theorized that he had bad teeth and mostly ate food that had been boiled to a grey mass. They know that he was related to St. Martin of Tours which was no small feat. Patrick probably spent his early days standing around Britain thanking God that at least he wasn’t in Ireland. At the age of sixteen, however, the inevitable happened: He was taken by Irish raiders to the Emerald Isle. Patrick was forced to herd swine for a Druid high priest named Milchu. This was especially difficult because, unlike sheep, pigs don’t herd well, smell bad and might take a finger if so inclined. Working for Milchu didn’t make things easier: Druids are quick to anger, if my own experiences have any bearing on the subject (Author’s Note: Do NOT make fun of Stonehenge while drinking in a pub in Northern England; in fact, don’t go to Northern England at all). Patrick’s own writings of his time as a slave have survived to this day. He wrote about how his faith grew every day; and, how he prayed daily for release from captivity or at least a main dish that didn’t have pork in it. After six years of being prayed to, God must’ve finally noticed the blinking light on his prayer-phone, because he gave Patrick a message: Run away. There will be a ship waiting for you only two hundred miles away. The vision was as good as its word and before you could say, “Jack O’Robinson”, Patrick was back with his parents enjoying the drear that is Britain. But, not for long. A few years into his freedom, he had another vision: The people of Ireland were calling out for Patrick to walk amongst them, or at least lend them a few quid ‘til Tuesday. Of course, if he’d refrained from escaping in the first place, he would’ve already been among them. Patrick received his training in Gaul, which is today disguised under the name “France”. No lesser man than St. Germaine took Patrick under his wing and pecked the parasites of ignorance from his downy feathered neck. In 433, Patrick arrived in Ireland, landing near Wicklow Head, probably somewhere near its shoulder. The Druids were inexplicably upset by his arrival and grumbled accordingly. He decided to pay a visit to Milchu, his former master, and expose him to the wonders of Christianity, in perhaps one of the finest acts of passive aggressiveness the world has ever seen. On his way to his former master, Patrick converted more people than Carter has liver spots. A little ways into his journey, a chieftain drew his sword on Patrick and Patrick made his arm as rigid as a starched collar. The chieftain was awed by Patrick’s manner, his meekness and could he please unstiffen my arm, now? He converted to Christianity and gave Patrick a barn. A church was eventually built on the site. One can only hope that they moved the cows first. Milchu took the arrival of Patrick well: He put all of his possessions into his mansion, set the house on fire and then joined the possessions in the flames. Some may call this an overreaction; however, suicide is still the only way to handle a passive-aggressive. Besides, if Patrick had converted the druid high priest to Christianity, Milchu would’ve had to start from the bottom again, perhaps in the Vatican mail room, at a greatly reduced salary. Patrick returned to his barn. While at his barn, Patrick heard…perhaps from a chicken, that the chieftains of Ireland were going to get together with their king, or Ard-Righ, maybe hang out, have some Doritos, perhaps. This would be the perfect time to show them Christianity. And, it would be on Easter, so, if he converted them early in the day, they could have an egg hunt. He set off for Tara which, fortunately for Patrick, was where the event was being held. After a nice Easter in Tara, Patrick went on over to Telltown and baptized everyone that wasn’t water-soluble. Using his famous gnarled staff, he smote a good many idols, turning them into dust. He also smited some dust, but it just stayed dust because that’s what dust does. He began converting kings and entire kingdoms, sometimes before he’d had his morning coffee. While visiting Ratherogan, looking for a cigar store, Patrick was approached by two princesses: Ethne, the fair and Fedelm, the ruddy. To be honest, Fedelm was a lot of other things besides ruddy; Ethne, on the other hand, would always be just fair. They were curious about the Christian heaven, so Patrick laid it on pretty thick. The two girls were so enthralled that they allowed themselves to be baptized and take the Eucharist. Then, they asked Patrick how they could now see the kingdom of Heaven. Patrick told them that they’d have to die first; so, they happily did. They simply lay down and died. What a salesman! Patrick was getting so good at converting people that he started doing it by the county: First Ulster…then Meath, a county founded by a Castilian butcher. He left a holy well in Naas with a stack of holy Dixie cups for convenience. He erected a church near what is presently Kilkenny. Unfortunately, he forgot to tell anyone where it was. 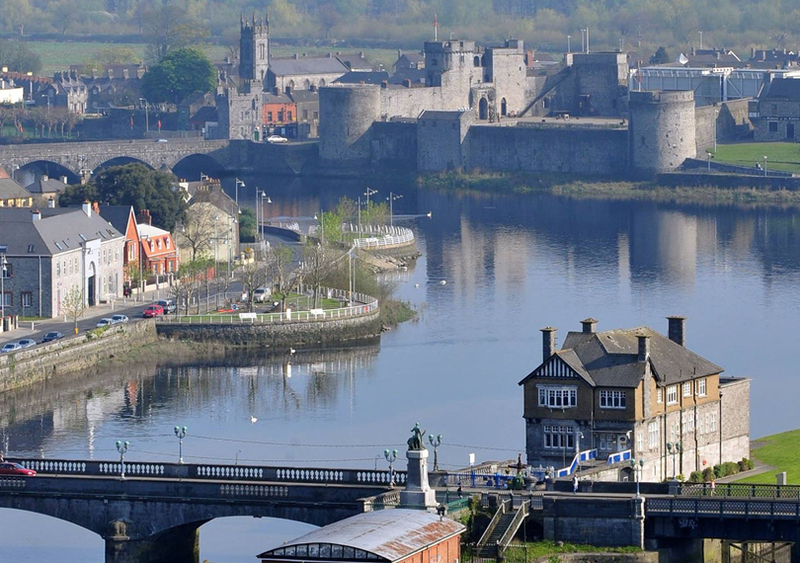 While in Leinster, a murder plot against the saint was overheard by Patrick’s driver. The driver convinced Patrick to let him take the honored position on the chariot and was himself killed by a spear thrust meant for Patrick. He saved the religious leader in the only way he knew how, due to a fatal lack of imagination, and became a martyr. One can only imagine what would’ve happened if he’d simply told Patrick what was up and they took precautions accordingly. But, history is not made up of the thoughtful.